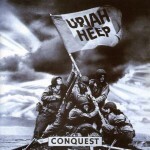 Uriah Heep’s 13th studio album was the last work featuring Ken Hensley: just three months after «Conquest» was released Ken left the band as a result of his conflict with John Sloman (a new vocalist who replaced John Lawton) and became a solo artist. Uriah Heep’s line-up included a new drummer, Chris Slade, who previously played with Manfred Mann. Musically «Conquest» bears little resemblance to any previous work of Uriah Heep. Ironically, British music press suddenly started to appreciate the band they for so many years tried to do their best to ignore. «Record Mirror» gave «Conquest» highest possible rating (“five star”), and «Sounds» magazine gave it three and a half stars. «Conquest» charted in Britain (Top 40), and it was a major achievement, since all three previous albums did not chart at all. The album was recorded in the second half of 1979 at Roundhouse Studios. It was produced by the band and Peter Gallen, and Gerry Bron became an executive producer. «Conquest» was release in February 1980 by Bronze in the UK; in the U.S. the album was not released at the time. The photograph on the album cover mimics the famous image of “Raising the Flag on Iwo Jima”. Ken Hensley — Oberheim OB-X, vocoder, organ, piano, guitar, backing vocals. Timpani on “Out On The Street” — Gerry Bron. Producers — Uriah Heep and Peter Gallen. Executive producer — Gerry Bron. 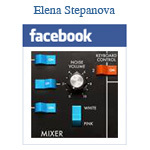 * Trevor Bolder was erroneously credited with vocals on “It Ain’t Easy”.